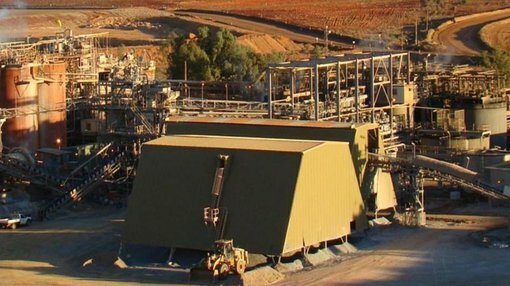 Blackham Resources (ASX:BLK) has boosted its overall resource at the Matilda gold mine to 12.9 million tonnes while the proportion of measured and indicated resources at the mine has been boosted by 14.2%. It told shareholders today that as a result of further drilling at studies at its main Matilda resource that it had managed to boost its Matilda resource to 12.9 million tonnes @ 1.8 grams per tonne for 724,000 ounces of gold. This is up from a previous estimate of 12.5Mt @ 1.8g/t for 705,000/oz. However, the proportion of this in the indicated and measured categories is now 61%, up from about 53% previously. The higher proportion means BLK will have more confidence in its main deposit as it move towards a definitive feasibility study in the near-term and first production in the middle of the year. There could be more to come though, with BLK in the middle of a 4500m reverse circulation drilling program at Matilda in an attempt to upgrade more inferred resources to higher categories and to extend the resource 7km along strike. “The increase in the measured and indicated resources at the Matilda Mine gives us further confidence that the Matilda Mine will keep growing,” BLK managing director Bryan Dixon said. The Matilda Mine is the main source of initial ore for the planned 100,000o/z per year gold plant at Wiluna. The plan is the bring in ore from Matilda, and then more ore from nearby deposits over time. Today’s news came days after BLK upgraded the combined indicated resource at the Golden Age and Galaxy deposits by 41%. It said the combined indicated resources now stood at 0.75 million tonnes at 4.1 grams per tonne of 99,000 ounces of gold. The new studies also flowed onto the total resources estimate for the deposits, up 21% to 1.85Mt @ 3.6g/t for 216,000/oz. Golden Age now has a total resource of 1.06Mt @ 4.4g/t for 150,000/oz, while Galaxy now has a total resource of 787,000 tonnes @2.6g/t for 66,000/oz. The resources upgrades are the product of a slew of drilling done by BLK in the second half of last year as it gets closer to producing first gold at the project, expected in the middle of this year. BLK has started a further 2700m drilling program at Golden Age with the aim of extending the resource to the east, thereby adding more resources into the mine plan before production begins. At this stage, the plant is slated to produce just a shade under 100,000 ounces of gold per year. The aim is to start producing gold mid-year, with the first stage of production to utilise soft oxide and free milling, using the existing resources at the Matilda Mine, with additional gold ores coming from the high grade reefs like Golden Age, Galaxy and Caledonia.